The PML-N’s privatisation agenda is in trouble. Halfway through its tenure, it has not chalked any major achievements in this area, as true too in other economic areas like energy and exports. The PPP-controlled Senate has blocked PIA’s privatisation while PIA employees, whose union activities the government curtailed yesterday, are threatening to close operations despite government promises to defer privatisation. Meanwhile, the IMF is not pleased with Pakistan’s inability to meet loan conditions related to privatisation. Unfortunately, the government must accept a big chunk of the blame for this mess. Given its plans to sell national assets worth billions of dollars, it should have initially crafted a sensible strategy in a transparent and participatory manner given privatisation’s mixed record globally. Studies from Russia, Eastern Europe and Latin America show that poorly managed privatisation processes often cause huge corruption, asset stripping, monopoly creation, increased inequality, cronyism and losses of consumer and employee welfare. Evaluations of past privatisation efforts in Pakistan conducted by ADB, the Karachi-based Social Policy and Development Centre and other writers also reveal major issues. The performance of most privatised units had worsened; lack of transparency was common; and privatised banks had ironically become more prone than nationalised ones to lend to the government rather than the private sector. There were concerns about cartels formation in the banking and cement sectors and large-scale employee lay-offs at the PTCL. Charges of sale of units at low prices to cronies were levelled against the PML-N itself during the 1990s. These studies largely focused on economic criteria and did not adequately cover social concerns like impact on employee and consumer welfare and poverty, which are especially critical for a country like Pakistan. We lack a written strategy which takes stock of past issues. Obviously, these global and national experiences do not relate inherently to privatisation but to badly managed privatisation only. 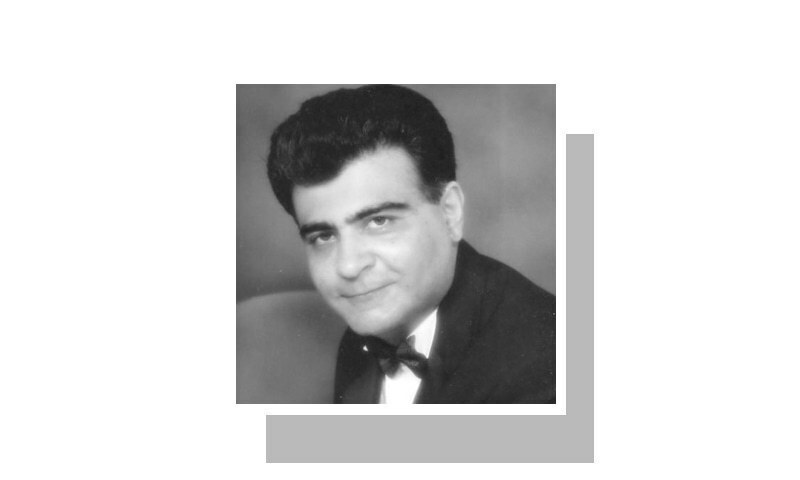 But the frequent occurrence of such issues globally means that the chances of privatisation processes going awry in corruption-prone, low governmental capacity countries like Pakistan are high. Caution and prudence are thus required. However, the need for Pakistan to enter into the strait-jackets of IMF loans was high in 2013 given its low exchange reserves. This coupled with the inherently neoliberal outlook of both the PML-N and the IMF meant that there was little discussion on the pitfalls of and alternatives to privatisation, and it was included as a major requirement in the 2013 IMF loan conditions. The government had initially announced an ambitious plan to hire competent CEOs for key state enterprises, through a merit-oriented and transparent process, to turn around the enterprises. However, the PML-N’s basic penchant for ad hocism and cronyism soon overwhelmed this temporary desire for meritocracy and this plan was quickly abandoned. Not that the PPP is blameless in this process, for it too has failed to provide a credible alternative. The tussle on privatisation between the PML-N and PPP often seems less about the classical right-left debates about the merits of state vs. market production in the West. Rather, in the patronage-driven Pakistani context, the debates have become reduced to the right-wing PML-N seemingly viewing privatisation as an opportunity to benefit crony capitalists and the supposedly leftist PPP seeing state enterprises as an opportunity to employ its supporters as workers. Going forward, the government must immediately change the embarrassing fact that even though billions of dollars of national assets are at stake, the government lacks a written strategy of even a few pages which takes stock of past issues, develops clear social and economic criteria and lays down a transparent process for dealing with sick state enterprises. Most crucially, it must change the headline topic from the controversial issue of privatisation to the self-evident and non-controversial need to re­vitalise sick state enterprises running huge losses and providing poor quality goods and services, eg, PIA and PSM. Clearly, few would challenge the self-evident fact that the status quo for them is unacceptable. Such a shift in the headline topic would have two important implications. Firstly, the government would focus on sick companies only, thus ending charges about it first selling profitable companies, often at low prices to cronies, without any economic or managerial rationale. Secondly, even for sick companies, privatisation to strategic investors would not be the default option but only one option alongside autonomy and professionalisation of board and senior management; establishment of employee-owned companies; and sale of shares to the general public. The best option for each sick enterprise would then be identified through a clear set of economic, social and managerial criteria and a transparent process. 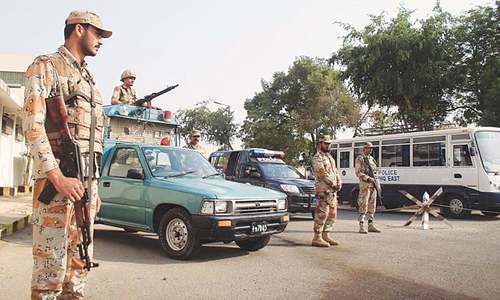 It remains to be seen whether the PML-N has the capacity to implement such sensible action. 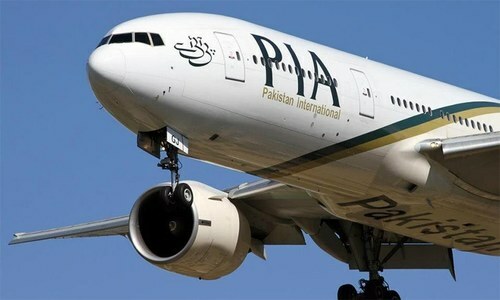 The question isn't if privatization will save Pakistan International Airways but whether Pakistan will have an airline. Do the people of Pakistan know that PIA holds one World Record as well. 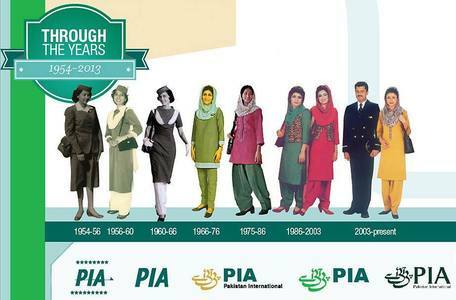 PIA has 40 aircrafts. And their employee count is 16,000. This accounts to 400 personals per aircraft. One of the highest in the world. The world average is 45-60 in efficient airlines. Also PIA mostly procures aircrafts on Wet lease as it requires no personals from PIA to maintain. So more enjoyment through Wet least. Privatization is the only way forward to clean this mess. Otherwise this mountain of political appointees will continue to increase in the future. completely illogical. It conceal more than what it tells. Where is the true picture of saving public money, which the government were pouring to the sick bodies before they were privatized? Where the facts about how profitable they ( the banks) are today and how much they are paying to the national exchequer in terms of billion corporate taxes. What do we with enterprises like PIA, Pakistan Railways etc? Too many lazy and inefficient people working in these entities and they will oppose tooth and nail, for simple reason in the private sector they will have to work or go home. Being in the aviation industry myself, if Emirates (helped by PIA) can do it, we certainly can do if PIA is allowed operate independently. They will have stop political appointees instead give educated people in the field of aviation run, then see what happens. Air India which was loathed by most Indians and was the least preferred and huge loss making set up till 4-5 years back is today the preferred airline in India over the numerous private airlines in the country. Politicians as Chairmen and board members had brought it to verge of collapse. However, instead of talking time and again of its privatisation and demoralising its staff, Govt. brought in transport, tourism and management experts into its board and one can see and feel the change now. It is making cash surplus now. All happy, including the politicians and bureaucrats! Thanks for writing such a clear-cut and easy to understand piece on a very controversial topic. The last sentence aptly sums it all. I am sure you considered writing the sentence as "It remains to be seen whether the PML-N has the capacity, or the willingness, to implement such sensible action." but the unbiased author in you must have stopped you. Agree wholeheartedly, the writer makes a lot of sense. 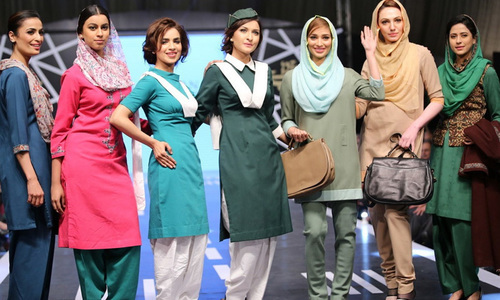 PIA was profitable as a corporation in the past and can still be, if it is run as an airline and not as a recruitment center as done by the political parties. Only anti corruption drive can save PIA from further destruction. PIA has been badly looted. Any degree of privatization is more welcome than letting these enterprises stay in government hands. Pakistan must chart its own path for privatization keeping economic nuances in mind. 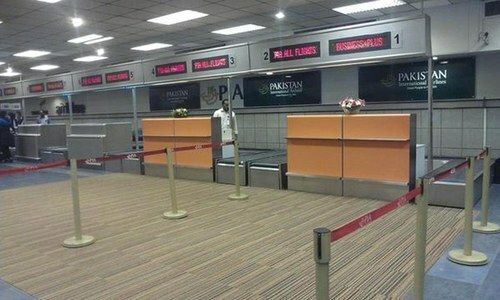 The shift of ownership should occur in a transparent way and once that happens, the government should step back and let the new owners take over and function without any interference..
For how long tax payers need to carry this burden called PIA, its time to sell it and relieve the few Pakistani tax payers. We don't know if these enterprises will be there after privatization. But at least the budget holes will have been blocked. And if the govt. wants, we have organizations like Engro setting up replacements is relatively short times. Corruption has many forms in Pakistan, one is privatization. PTCL-Etisalat, KE-Abraaj Group are only two examples. rich and powerful become more rich and powerful. Poor have always suffered, and continue to suffer. The critical question to ask is whether the government should be in business or regulating business. Once, the government decides to exit a business, the best way would be to auction either the business or its assets. The greater the restrictions, greater will be the possibilities for corruption. @Malik Much propaganda has been done about the employee to aircraft ratio. But we should also be told how much salary the employees are paid per aircraft. What is needed is not to remove employees, who are poorly paid, but to rid the airline of fat, which consists of upper management drawing salaries in several hundred thousands per month with perks and mostly are relatives and cronies of the ruling elite! 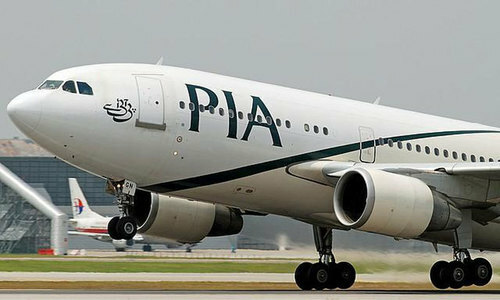 First of all we must know the reasons for huge & massive losses in PIA & PSM and it is all due to poorest control & governance by the board of directors and secondly due corrupt management team appointed time to time by those who matters and we should stop putting all the blames on the employees of the two state owned organisations. Billions of $ are of national interest are at stake . PMLN members owns an airline and running it successfully and same is the case with Shareef's family running the steel business successfully and my question is why there expertise is not utilized to run the state owned PIA & PSM on professional basis. The last privatisations of PTCL & KESC was not fair and only losers were poor people of Pakistan and winners were those sitting at the helm of affairs and the buyers , were from UAE state owned companies. @Malik 16000 were appointed by Government's Board of Directors and they blame goes to them and not on the employees, itself. Most of the appointments were made on political grounds and with out considering merit. Selling national assets at peanut is not the solution as It was done in privatization of PTCK & KESC. @Zafar Ahmed It is not a national asset. It is a national liability. The entities alleged to be interested in investing in PIA are themselves "state owned". Emirates, Qatar Airways or for that matter Gulf Air- are they state owned or privatised. And who on earth believes that privatisation is the answer to every loss-making enterprise in Pakistan. Most privatised banks in Pakistan are state-centric in their lending policies. The funds, however, comes from the ordinary public. Pakistan need autonomously run enterprises free from greedy, unprofessional and harmful interference from unscrupulous politicians and bureaucrats more than privatisation. In Pakistan "privatisation " means selling the national silver to "cronies" at throw away prices. With the absence of "honesty", our bureaucrats, security agencies, politicians, and judiciary can't function. We lack honesty, our approach to individual survival is make money by illegal means and thrive and have no respect for fellow citizens. Our mind set has to change to come out of the mess we are in. As per Wikipedia, PIA has 19,000 employees and a fleet of 38 aircraft. However, looking at the fleet breakup, it turns out that 19 of the 38 aircraft - exactly 50% - are on wet lease, where the lessor provides the staff to fly and crew the aircraft and maintain it. Effectively, that means 19,000 people employed to operate the remaining 19 aircraft that are actually owned by PIA. That means it has 1,000 employees per aircraft, which is too high by even unreasonable standards. For comparison, Air India has 23,000 employees and 109 aircraft, which is 211 employees per aircraft. Sri Lankan Airlines as 6,800 staff and 24 aircraft, which is 283 employees per aircraft. Privatization or no, the staff head count clearly has to be brought down. Not clear how this can be done given the strong union opposition, though. The hiring practice is the mother of all problems. This is a : make work company " for political parties. Over staffed, incompetent staffing, under qualified employees, rude and more rude employees, procurement is plagued with corrupt bosses and many more are the reason for failure. Can some one undo all that?. Solution lies in privatization of those national assets which have become white elephants..PIA, Steels etc. A corporation that has a market capitalization of Rs.23 billion, and accumulated loss of Rs.30 billion per year cannot command much price. Even a fire sale is preferable to perennial bleeding of the people's treasury in form of subsidies. My read is that there are too many vested interests who want this enterprise to continue to bleed so that they can siphon it for profit. As a practicing consultant in corporate strategy my advice to Pak government is to swallow its pride and sell it on "as is" basis with no pre-condition of employee retention. The present employee culture is not conducive to effective turnaround. The saying in my profession goes: Culture eats strategy for breakfast. All new nations have the ambition to have an Airline and a Steel mill. A few can really afford it and run it profitably. A thousand of airlines cross over Pakistan every day. Why not let them do the job and relieve ourselves of this humbug? At this point, without Govt. bailout this airline is bankrupt. With Privatization, the new owner can really try to operate it as a commercial entity. guess who will gain from privatisation?? you are well right my friends. 400 workers per aircraft is quoted obvious reason for financial losses. Before going for privatization the case of overstaffing be sent to NAB to find out Ministers and officials in PIA and government who are responsible for recruiting excessive staff and initiate prosecution against them for causing financial losses and ultimately making PIA non functional. In Pakistan grave irregularities and corruption is carried out and acknowledged but no one is ever punished. It is high time to take care of PIA as national carrier cannot easily let go by pml N incapacity to forecast a plan.